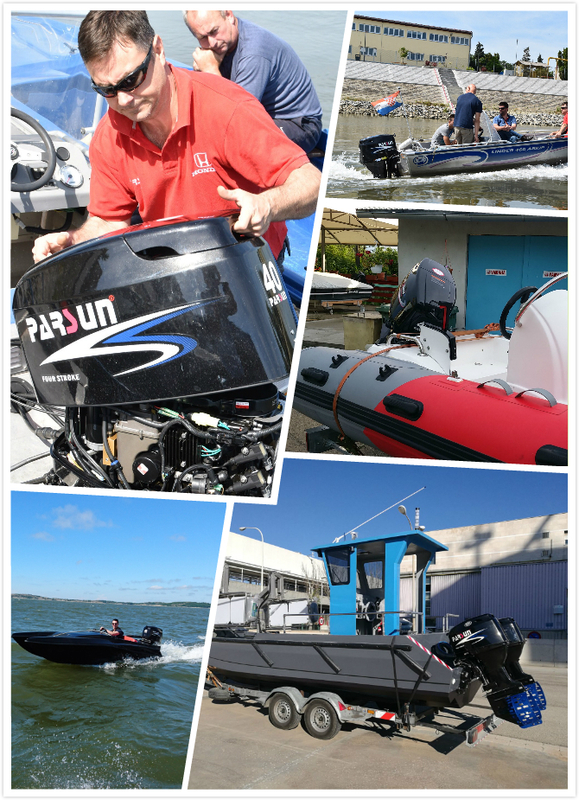 PARSUN 40HP 4-stroke outboard motor is equipped with electronic fuel injection, which provides excellent fuel economy, easy start, slower trolling speed, quick throttle response, lower emission and very smooth rides on the water. Weighing just 204 pounds, it is easy to install and gives less weight for your boat to haul around. 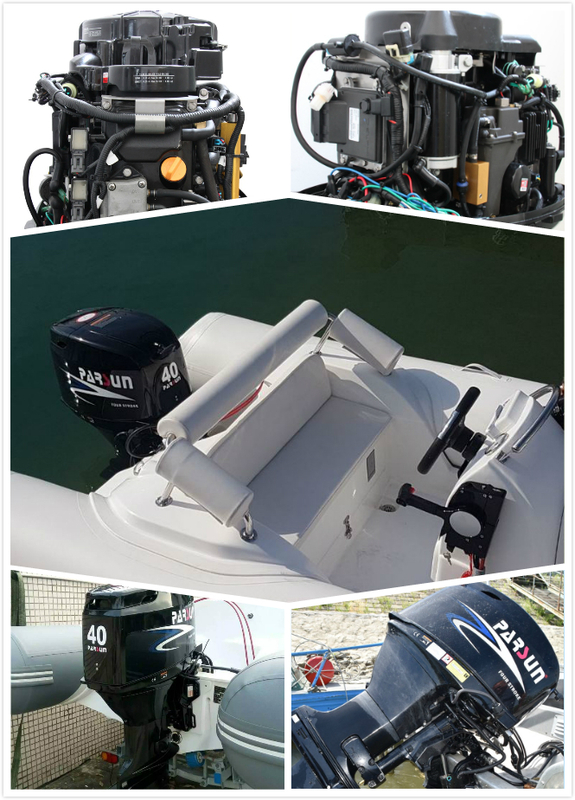 F40 models are perfect for aluminum fishing boats, bay boats, inflatable boats, pontoon boats and fishing boats. They are designed to satisfy the demand of leisure boaters with all kinds of boats. 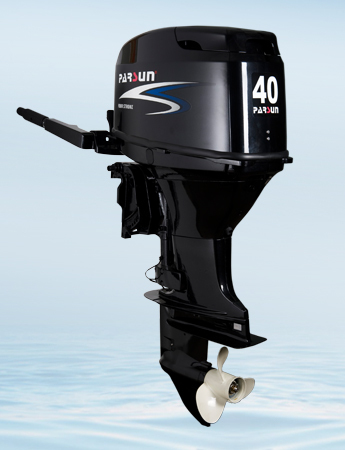 PARSUN 40HP EFI outboard motors are powerful, reliable and easy to operate. 1.With reliable Delphi E.F.I. system and multifunction diagnostic scanner (scanner available at option), F40 is of high quality, long life and easily maintenance, whilst cutting your fuel and maintenance costs. 2.Through propeller hub exhaust and long leg provide a smooth quiet operation. 3.Long-term durability of critical engine components: water cooling fuel system, stainless steel water pump housing liner and camshaft-driven engine oil pump ensure the outstanding durability. 4.The ECU determines the precise amount of fuel that needs to be delivered by the injector,It also delivers the exact air/fuel ratio to the engine by activating the injectors for the precise amount of time. 5.Several different sensors continually monitor the critical engine’s major functions. They will send out special signals to inform you in advance, such as over-revving, overheating, or low oil pressure, and automatically reduce the engine power to prevent damage. 6.The precision engineered shift system delivers smooth and positive shifting for an improved driving experience. 7.Large displacement and single overhead cam increase the low-end power with smooth and strong performance, and help the operator get excellent acceleration even when pushing a heavy load. Fuel-water separator and fuel filter prevent any debris or water in the fuel from getting into the engine. Built-in freshwater flushing system provides easy routine flushing. High output 18 amp alternator for battery charging and fishing electronics. Digital CD ignition system for quick start of the engine. Power trim & tilt or hydraulic system makes engine operating more easily. The thumbscrew mounting bracket reduces the time and effort needed to install or remove the outboard from a boat's transom. Multi point electronic fuel injection with ECM control delivers the precise fuel / air mixture for optimum combustion and provides smooth running. Warning & protection: low oil pressure warning, overheat warning, start-in-gear protection for safe engine starting, safety lanyard and over-revving limiter. 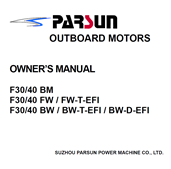 PARSUN 40hp EFI outboard motor advantages are Intelligence, reduced fuel consumption&emissions, less servicing,altitude adaptability, excellent starting, more power and enhanced reliability. Propeller options* 3-11.12 x 13" (standard) or 3-11.38 x 12"
*Propeller choice will vary by boat size and application.